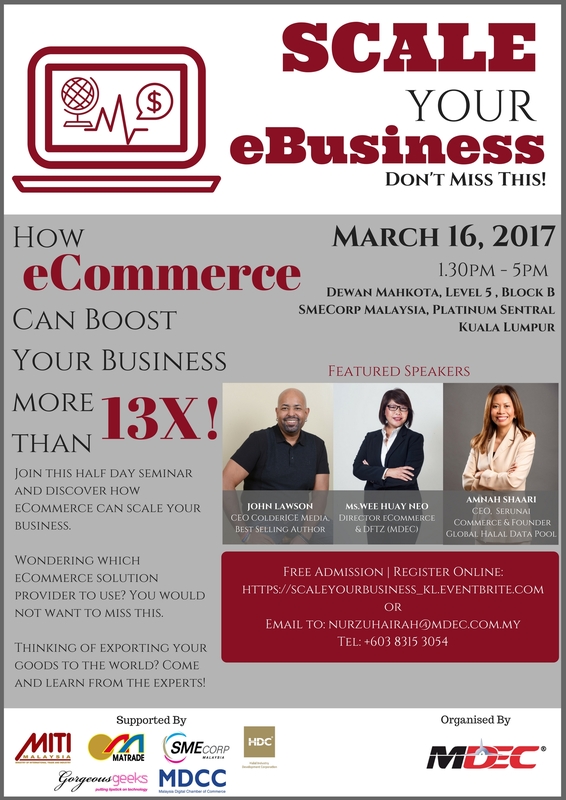 Come and learn how eCommerce can boost your business more than 13x organised by MDEC on 16 March 2017. Through this half day seminar, you can discover how eCommerce can scale your business and understand which eCommerce solutions provider matches your business needs. 4:30pm – 5:00pm – End of session with light refreshments.